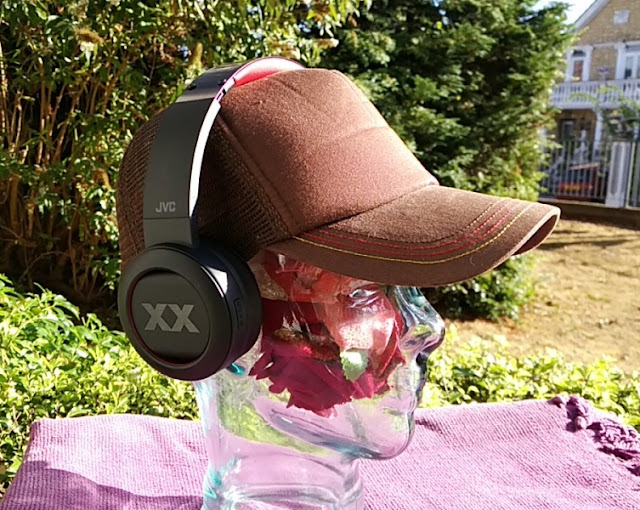 Studio monitor headphones are the perfect tool for sound monitoring and they can make you listen to music you never thought you would revisit! 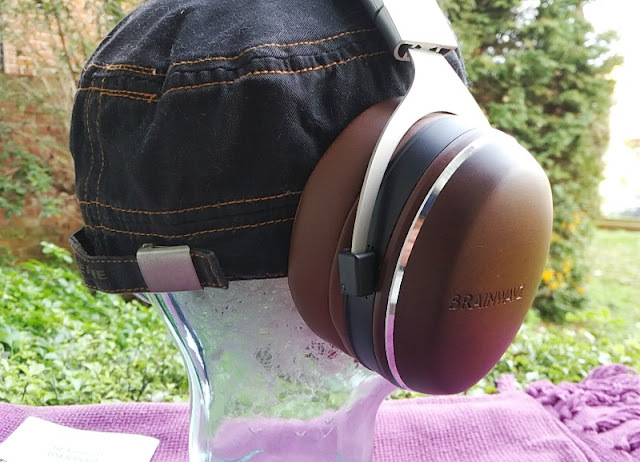 Compared to most studio monitor headphones, the Brainwavz HM100 stand out from the crowd with their vintage look and huge earcups housing 52 mm dynamic drivers with 64 ohms rated impedance, making the Brainwavz HM100 medium/low impedance headphones. 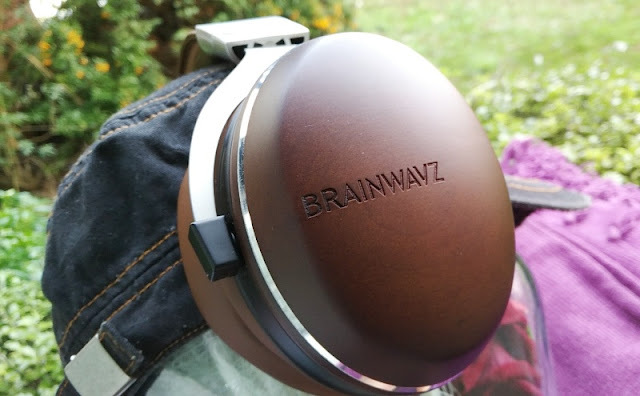 If you are into everything retro, you will like the look of the Brainwavz HM100 polished wood finish, metal accents and leather-trims. 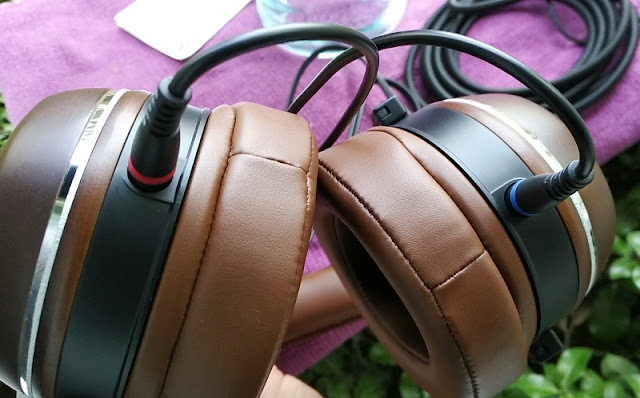 The HM100 headphones are very retro and beautiful to look at. 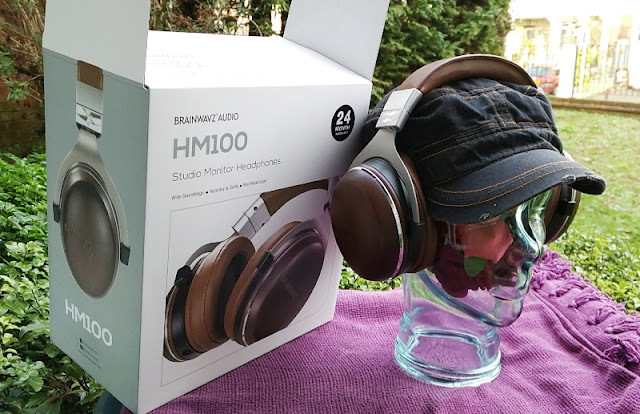 The HM100 headphones are well put together without any components being out of alignment although the use of plastic material for the construction of parts of the headband and hinges lessens its overall premium build. 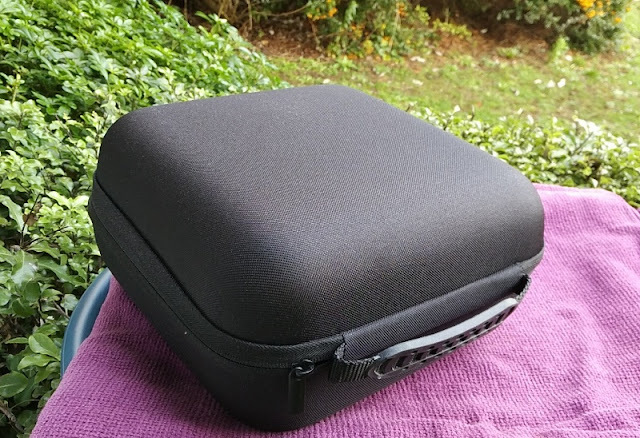 Fortunately, the Brainwavz HM100 do come with a hard shell zipper case with inner protective foam that securely shelters the HM100 headphones during transportation. 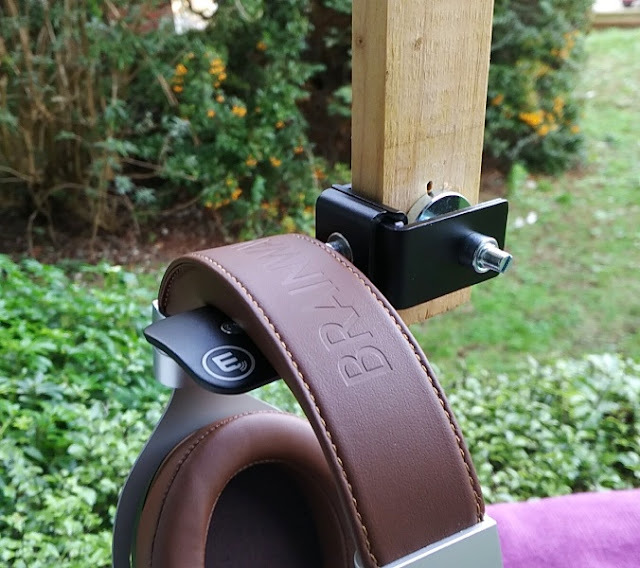 During normal use at home or in a studio, it's worth using a headphone hanger for temporary storing the HM100 headphones. 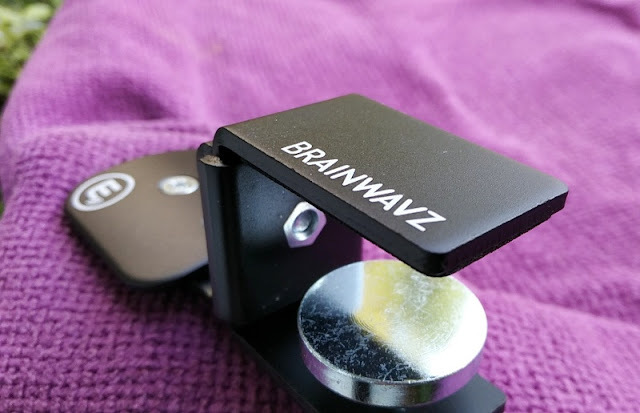 The Hengja headphone hanger pictured does not come included with the Brainwavz HM100 headphones but it makes for a great headphone accessory to have because it can be adjusted two ways. 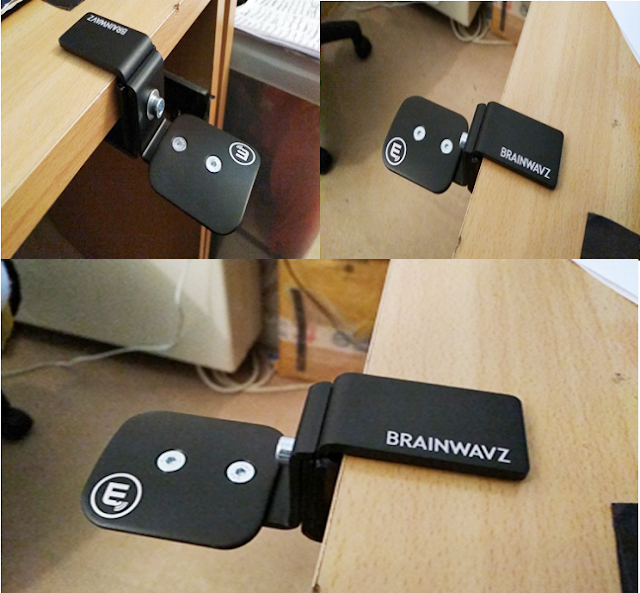 You can have the Hengja headphone hanger adjusted horizontally on a desk and/or vertically on a bookshelf panel. 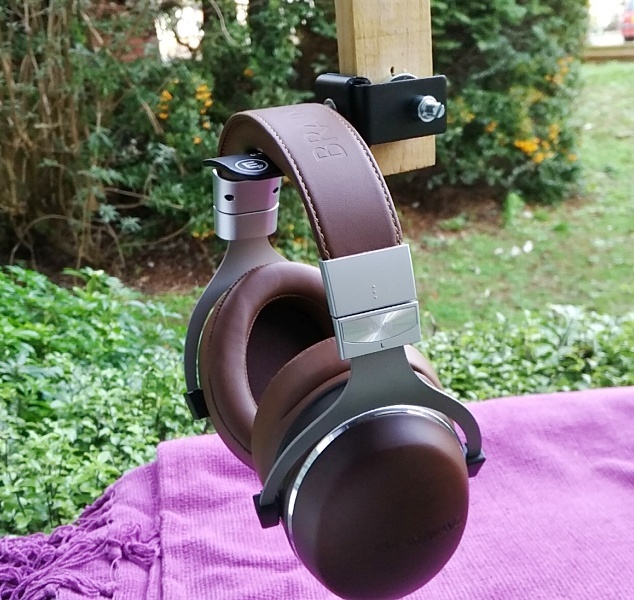 Considering the Hegja hanger relatively low price, the construction of the headphone hanger is excellent. 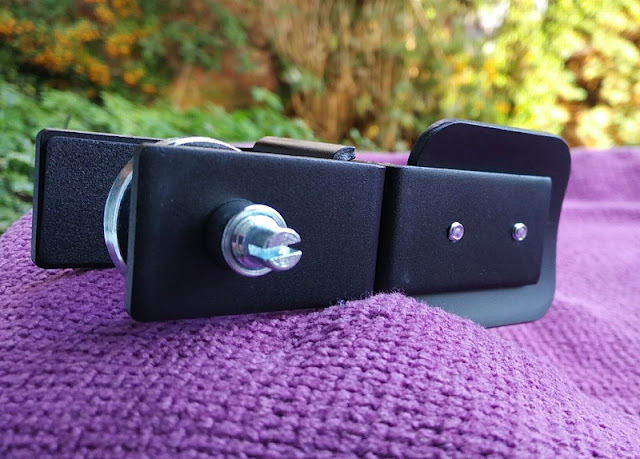 The Hengja headphone hanger is made entirely of metal. 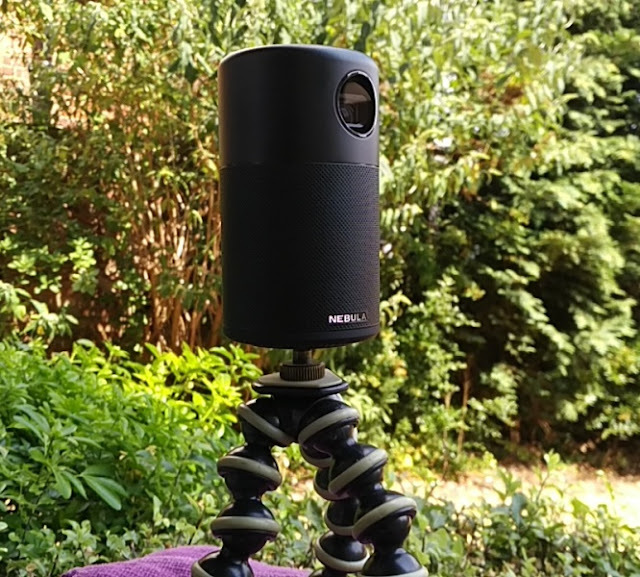 The bracket body and headphone support are made of black anodized aluminum while the securing screw bolt is made of silver anodized aluminum. 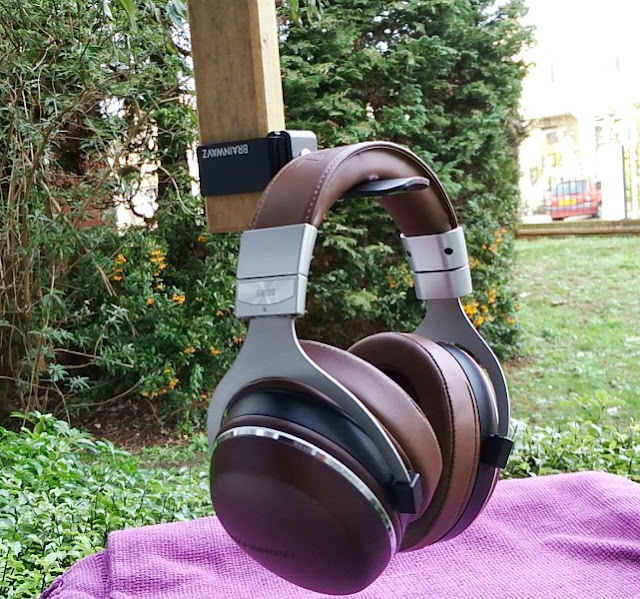 The overall feel quality of the Hengja headphone hanger is premium and durable. 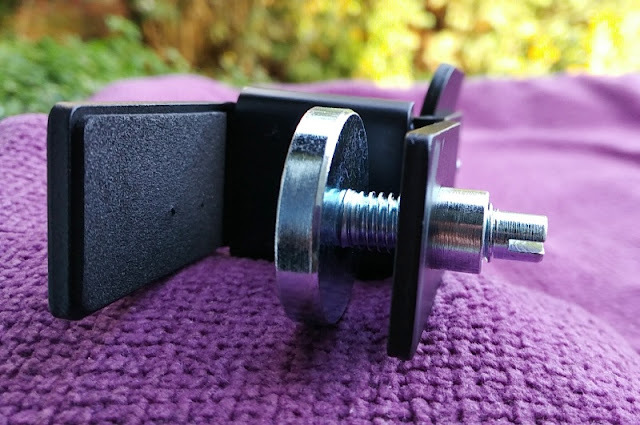 Adjusting the Hengja headphone hanger is easy too and done with the included allen key/screwdriver tool. 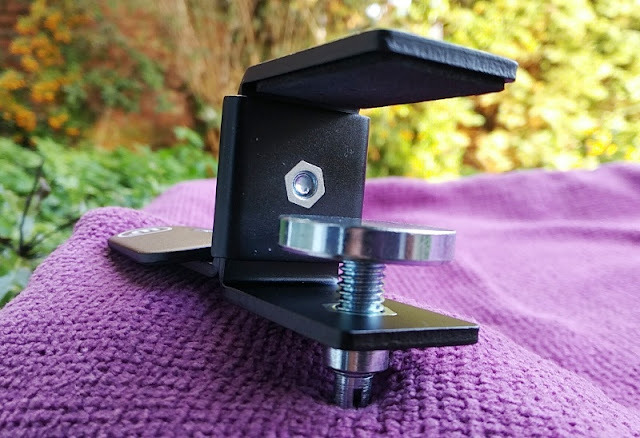 The allen key side of the tool loosens the allen bolt screw that secures the bracket so you can adjust the hanger from landscape to portrait mode. 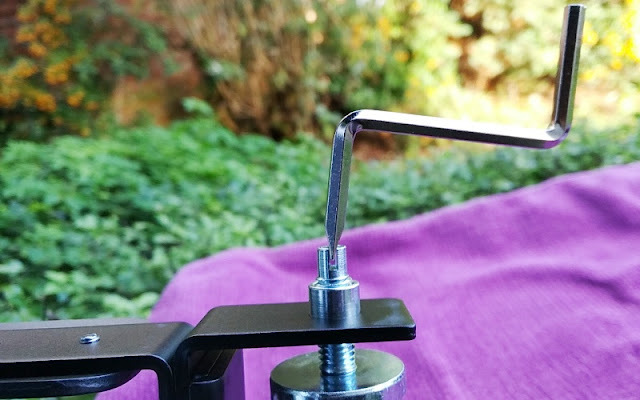 The screwdriver side of the tool allows you to screw and uncrew the retaining bolt that secures the Hengja headphone hanger to any surface. 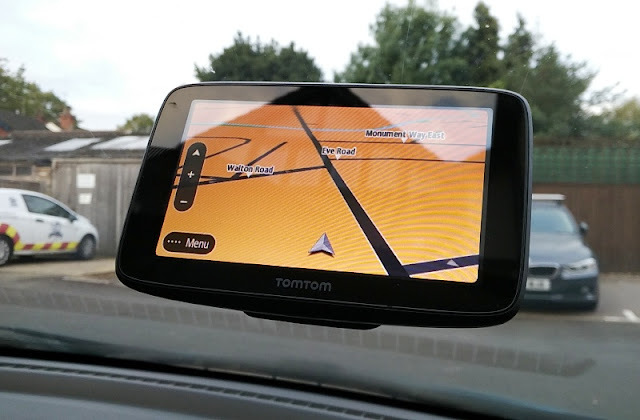 It's nice that the inner side of one side of the bracket features a thin layer of foam for additional grip when the Hengja hanger is attached to a vertical surface. 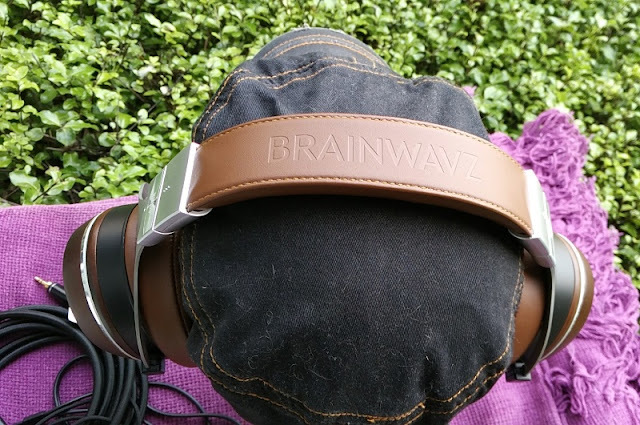 Coming back to the Brainwavz HM100 headphones, the sound quality is excellent with a wide frequency response range (10 Hz ~ 40 KHz) and neutral sound signature so the HM100 headphones sound exactly like the signal fed into them. 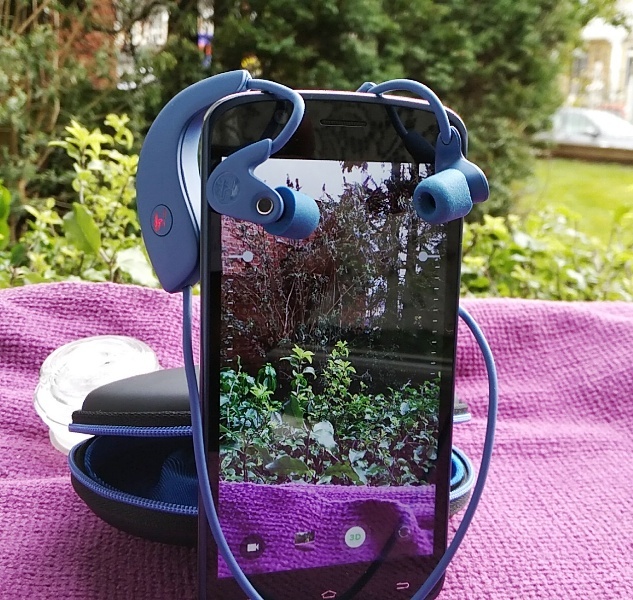 Being closed-back, they don't leak out noise and provide superb isolation from the world around you so you can deeply immerse yourself into your music. 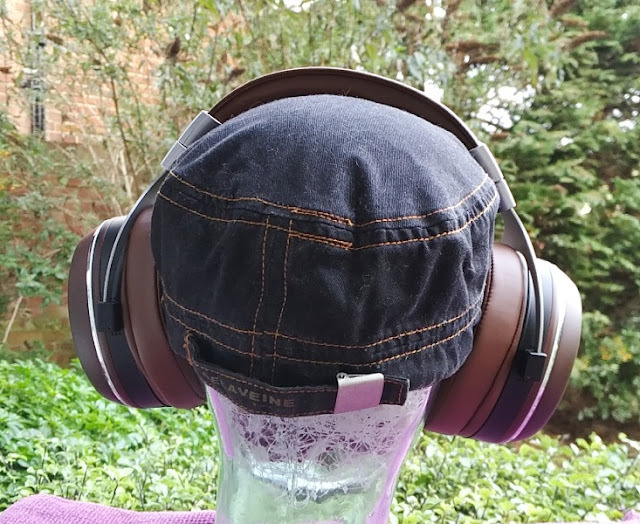 The earcups are oversized but you get excellent ear clearance for those with the largest of ears. 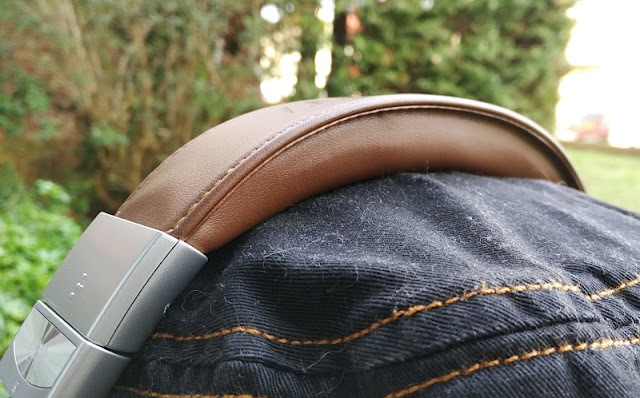 You can swivel the earcups left and right and up and down. 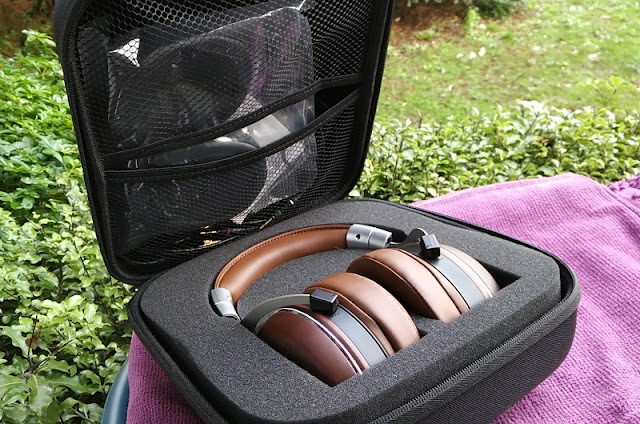 The HM100 stock earpads are made comfy cushiony foam that is covered with real brown leather. 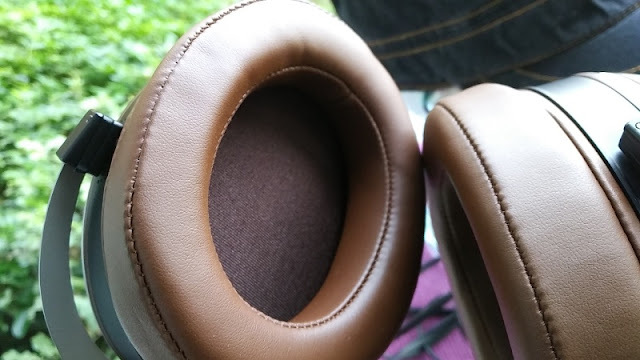 The spare pair of black earpads are made of fabric material that look like velvet but it's in fact made of stretchy black velour knit fabric which is the same velour fabric used in photography backdrops. 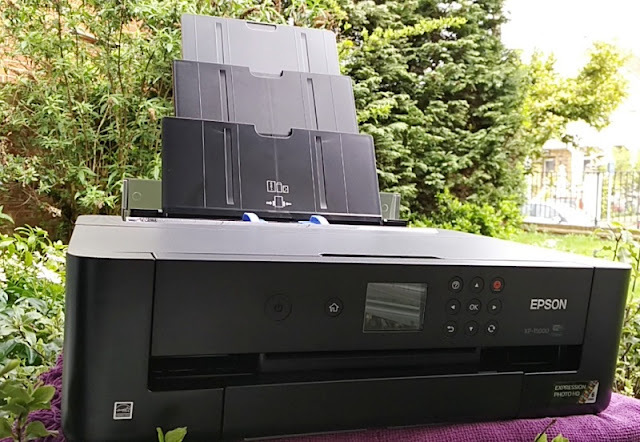 It's nice that two sets of cabling are included. 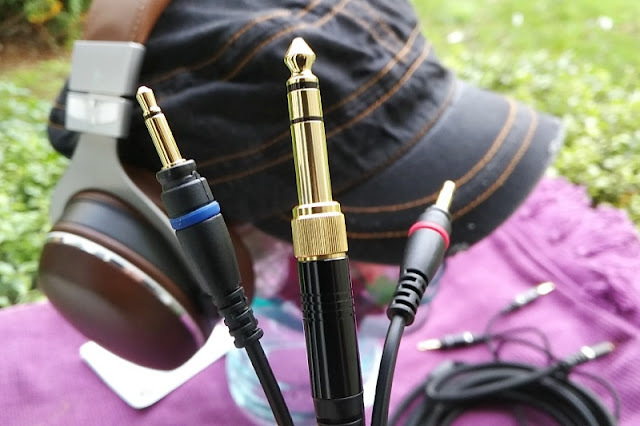 One cable is a 1.3-meter long detachable cable with color coded plugs and rubber sleeve, and the other cable is a 3-meter long detachable cable with braided sleeve and marked L and R plugs. 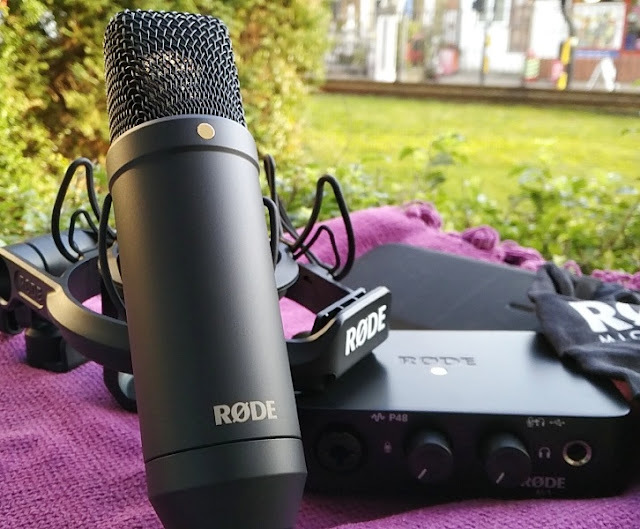 Being able to choose from two sets of cables means you can use the the shorter 1.3 meter long lead with a home Hifi setup and the longer 3 meter long lead for studio and DJ setting. 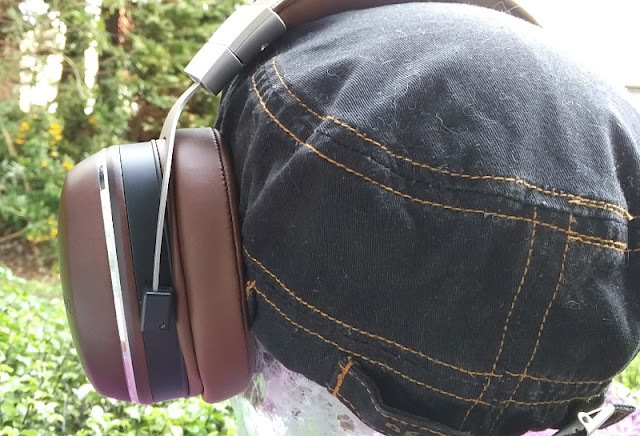 While the HM100 are almost on the scale of "high impedance" headphones, they only have a 64 ohms impedance rating which is relatively low impedance when compared to 300 ohm and 600 ohm studio monitor headphones. 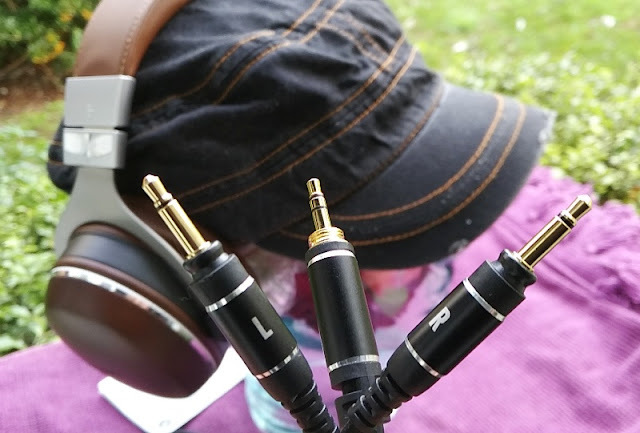 High impedance headphones are great because they require less current so you can plug-in several 300ohm/600ohm headphones without overloading a multi-channel headphone amp and clipping the sound. 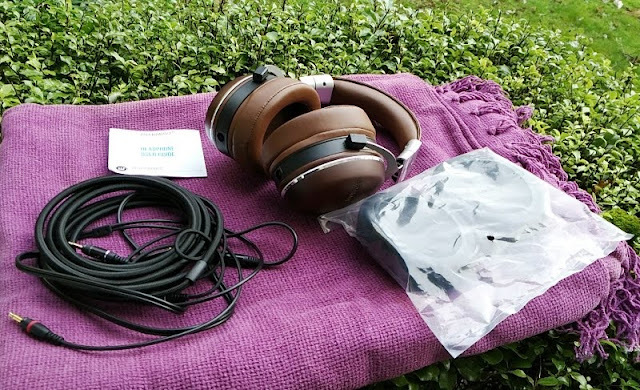 Because of the low impedance rating of the HM100 headphones, these headphones are more suited for tracking single sessions than for monitoring a recording with three or more musicians through a headphone monitor mix. 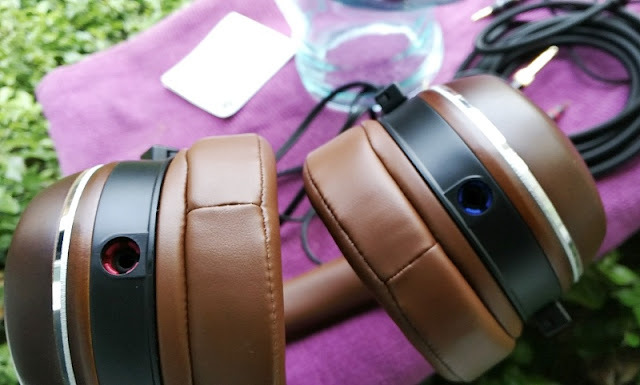 While the HM100 headphones are low impedance headphones they do have high sensitivity (96 dB +/-3dB at 1 mW) which is great because you can use a portable bluetooth headphone amp solution such as the BTR1k, ES100, and BTR3 to clear up the sound and boost the volume without distortions. 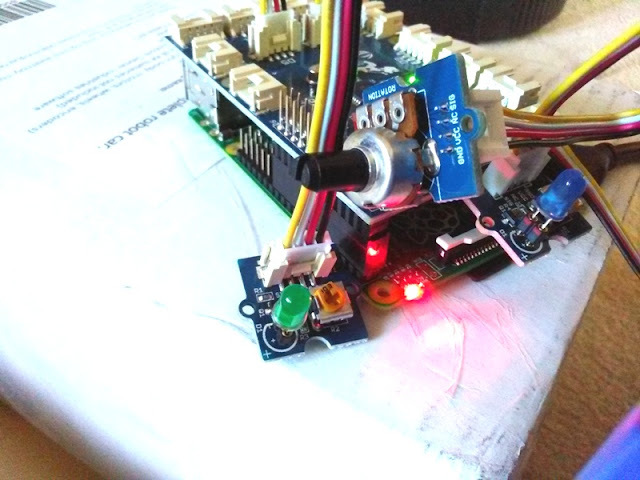 These headphone amplifiers (amps) mentioned are capable of driving up to 300ohm headphones; however with low impedance, low sensitivity headphones these headphone amps (and most amps really) would struggle so high sensitivity headphones (over 95dB) are always a plus. 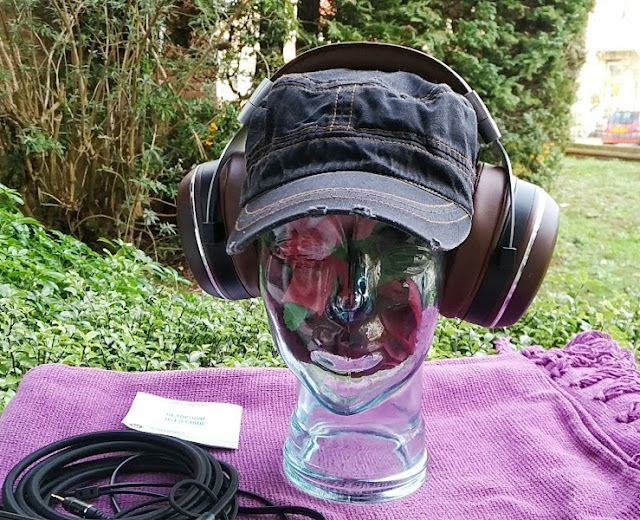 As far as frequency response, the greater the frequency range the better the headphones are for studio monitoring. 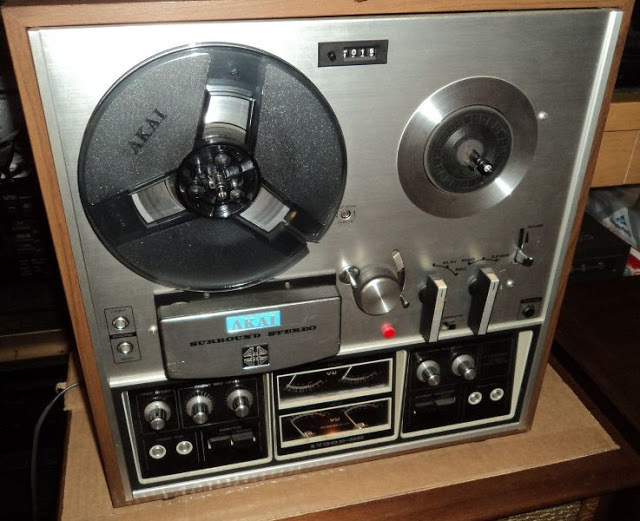 Most studio monitors can reproduce lows in the range of 10 Hz to highs in the range of 40 kHz.